The following was written to document the complete and total creation of our camera messenger bags. At Hawkesmill we try to be as transparent as possible. And this is one way that we can help not only our customers learn more about who we are and how we began, but hopefully it will also help those that want to venture into the incredible world of British manufacturing. Hawkesmill was conceived during the London Olympics in 2012. At the time pretty much everyone in Britain was feeling proud to be British. We were buying British, eating British and wearing British. But we took it a step further. We decided to start a company making the best camera bags in the world. Made right here in, you guessed it, Britain. And that was our problem. Our camera bag designs were so unique that no manufacturer wanted to spend the time, or money, making a sample for us. One manufacturer even suggested that we have the aforementioned, long-standing British camera bag company make our bags for us. Well, we approached them and they agreed, as long as we put their logo on our products, along with ours. So, we politely said, “No thank you.” And continued our quest to develop what was to be, in our minds, the world’s best camera messenger bag. The problem with having a manufacturer make a sample for you is that they will always request a sample from you to work from. I know what you’re thinking, “How can you provide a sample if you need a sample made in the first place?” Bingo! After about our 50th phone call to manufacturers and sample makers in the UK, we finally found a manufacturer that would make a sample of our camera bag from a sketch we had done. Albeit not the best sketch in the world. Nevertheless, it was a start. More than six months passed before we had a sample in hand. And it was even worse looking than our sketch. We made some adjustments, gave the camera bag, if you can call it that, back to them and waited another six months. During that time we developed more designs for a smaller camera bag, as well as a range of premium leather camera straps. We also began working on our custom-made camera bag feet and trigger hooks that would adorn our bags. If they were ever produced. During the two years it took from having the idea for our camera messenger bag to design, sample and final product, we had to develop our hardware. Even before we had a final version of our camera messenger bags in our minds, we always knew we wanted custom trigger hooks and custom feet. Most camera bags, in fact, all of them at the time of this writing, use standard, “off the shelf” feet and trigger hooks. It was always our intention to shadow the efforts of the leading luxury fashion houses and use custom hardware with our logo on it. Creating hardware with your logo on it is not as simple as it sounds. Once agin, we had to find a manufacturer that was willing to make a sample for us and keep making samples until we developed the absolute perfect trigger hook and feet. The first manufacturer we used took more than six months to get us a first batch of foot samples. They were slightly heavy, but basically did the job. However, after a few weeks we noticed that they started to rust on the inside of the screw hole. We decided that perhaps they were not the best manufacturer for us and went to another one. Within 24 hours of giving this new company our sketch, they had a professional rendering done for us and we placed the order for our first batch of feet, that would, eventually make it on to our camera messenger bags. A trigger hook is quite a simple device. They are hard-wearing, secure and do the job well. Most of the toughest bags in the world use a trigger hook in some capacity. However, very few camera bags do. We took this to be a weight issue, but we would rather have a few grams added to our camera bag and be able to remove our camera bag shoulder strap, than have a strap that is there for the life of the bag, even if it gets dirty, worn, or ripped. We got extremely lucky when developing our trigger hooks. The same company that makes our beautiful camera bag feet also make our trigger hooks for us. It seemed like we were finally making headway and that a full production camera messenger bag wasn’t that far away. During the second year of development, after all of our feet and trigger hooks were made, we encountered a small bump in the road, namely, our manufacturer, after spending so long creating the perfect sample for us, decided to take on a job from a popular 4×4 car company, based in the UK. And just like that, our dream of creating the world’s best camera messenger bag was essentially doused in mud from the giant rear tyre of this 4×4 company. This is what it is like to get products manufactured in the UK. Most manufacturers are too small to take on a lot of work, however, they need work to survive. When a small company comes to them they can help, but only to a point. When a larger company places an order for 200,000 bags they have to take it, or face closing the factory. We completely understood. But it was daunting nevertheless. The good news was that we had a sample! We could now take this sample to each and every manufacturer that would agree to meet with us. But, after close inspection, there were only a handful of companies that made bags in canvas. Most UK manufacturers make bags in leather. For a very good reason, leather equals profit. But the canvas we wanted to use is such a great material. It had to be canvas. After visiting some trade shows and calling every manufacturer we could find, we finally spoke to a manufacturer that agreed to meet with us. Canvas is an incredible material. There are myriad varieties and just as many applications. We chose our triple-layered waterproof canvas because it was the finest waterproof canvas we could find. In fact, the company who makes it for us in Scotland also makes canvas for a certain, very popular waxed canvas jacket company, based in England. And if it’s good enough for them, it’s good enough for us. After all, they’ve been selling their wares since 1894. We chose to not use waxed canvas, like some of our competitors for very good reasons: 1) waxed canvas needs to be re-applied every year and 2) waxed canvas wears and comes off on your clothes. Some people don’t mind, but we knew our customers were going to be very discerning. The idea of wax being slowly distributed onto the clothes of our customers didn’t sit well with us. As well as triple-layered waterproof canvas, we also use a product called Superdry canvas for our camera messenger bags. Superdry canvas uses a very tight weave instead of wax. It is an incredibly durable, lightweight, waterproof canvas. And very few bag manufacturers are using it. 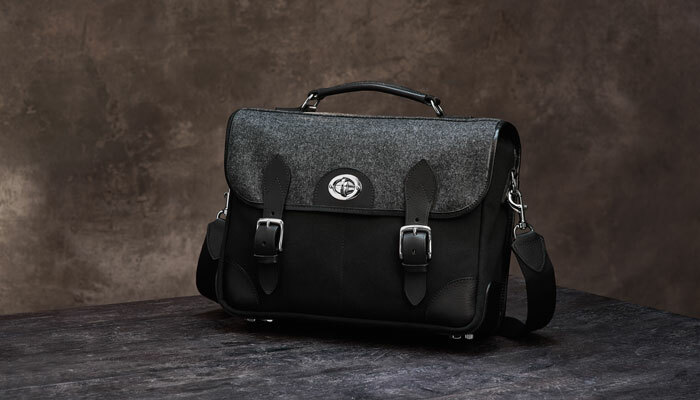 We are certainly the first camera bag company on Earth to use Superdry canvas. During the time that passed between when we found our current manufacturer and when we had a final, gold standard sample we changed the bag quite a lot. It isn’t until you get a camera bag in your hands and start using it that you begin to discover why there aren’t more camera bags like this being produced. Our camera messenger bag revolves around a turn lock on the front of the bag. 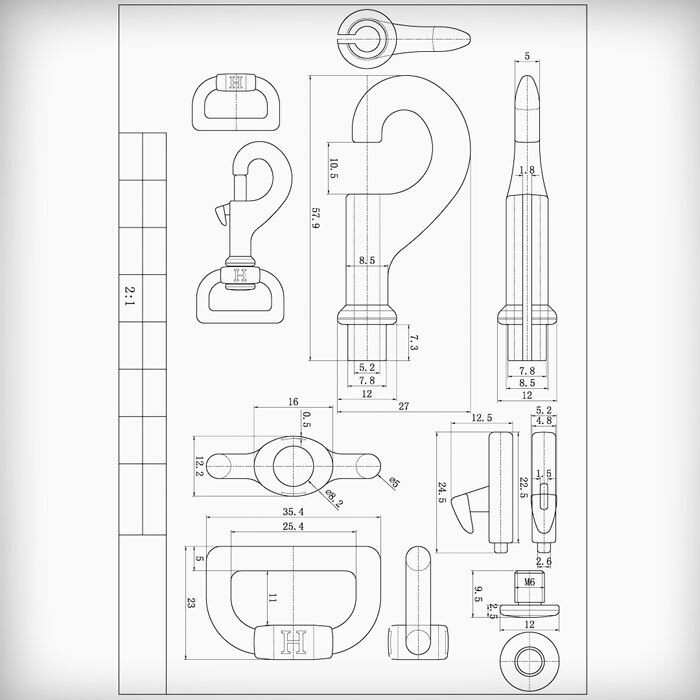 This turn lock was sourced from Italy after inspecting more than 100 turn locks. It is the only turn lock that we felt would stand up to the daily abuse most camera bags get. Although it isn’t load-bearing, it does the job that it is designed to do, namely, being a secondary opening and closing system when using the bag over your shoulder. Developing a bag based around a turn lock brings to light a lot of potential problems manufacturing the bag. We couldn’t have large billowy pockets for instance. But we didn’t want that anyway as our sleek pockets look nicer and they encourage bringing less gear, which, in turn, cuts down on weight. This is something we knew was going to be an issue with our bags as we use only the highest quality materials. Another thing which we needed to resolve before putting our camera messenger bags into production was the leather handle. When we began researching camera bags in 2012, almost none of them used a leather handle. They may have had leather on the handle, but it wasn’t a proper leather handle. Instead, most opted for a synthetic handle. In fact, nearly every camera bag brand used the same kind of handle. And most of them are on the top rear of the bag. This produces poor weight distribution and the bag would lean into the user when they carried the bag by the handle alone. It’s quite simple. Leather handles age better than synthetic handles. They look better and they certainly smell better than their synthetic rivals. In fact, we can’t imagine our camera messenger bags without our leather handle on the top. 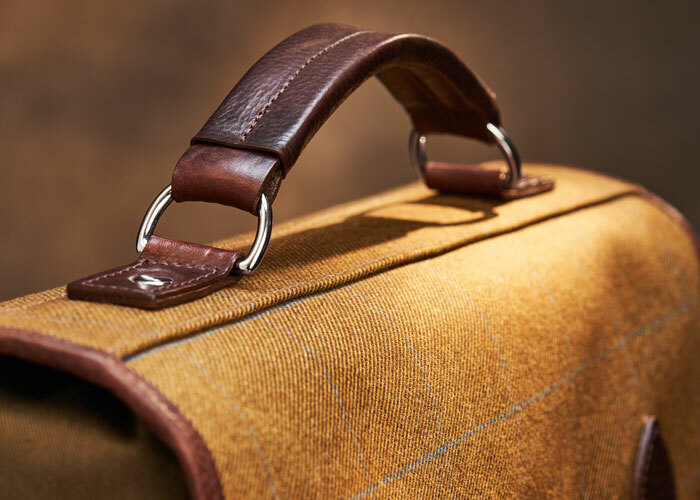 Like a fine briefcase, our leather handles are essential to the look and function of our bags. 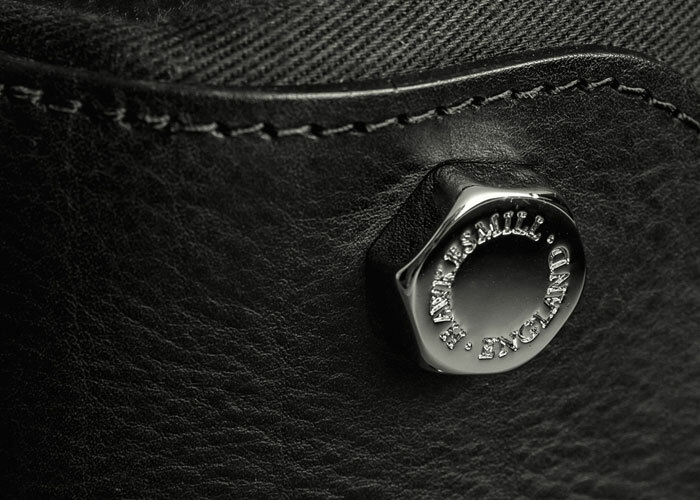 In order to create a proper leather handle, you need to rivet it to a piece of metal within the flap. There really is no effective or workable way around this. That is, if you want it to last for any length of time. Our metal shafts are shaped by hand to create a smooth, durable surface for the handle to be riveted to. In 2014, after more than two years of persistent hard work, we finally had a sample in hand. 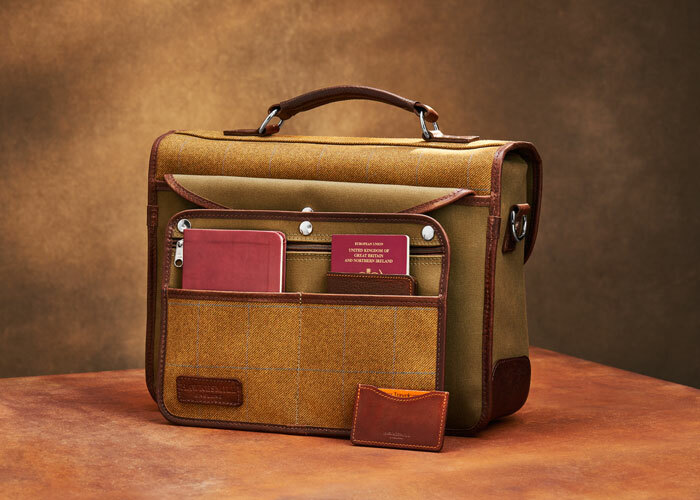 But, if you really want to create a bag that will conceivably last a lifetime, having a sample only means you now have to test, test, and once you think it’s perfect, test some more. And, so we did just that. 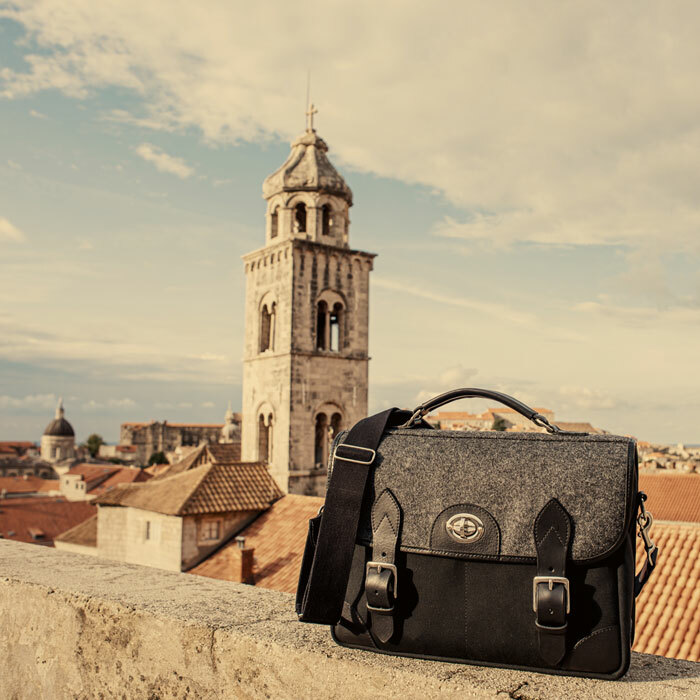 Because our bags were designed to be the ultimate travel camera bag, we thought it fitting that we test our camera messenger bag sample in Europe, during the winter. The two weeks we were traveling around Europe was a real eye opener. Never before had we put so much attention onto any previous camera bags we’d owned. We simply used them, while we forgave their faults and embraced their strengths. We weren’t just using a camera bag, we were using OUR camera bag that had originally been sketched onto an A4 piece of paper in the middle of the night. And then, through nothing more than determinism, we developed it into what we were now carrying and using throughout our journey. It was surreal. Incredible. But surreal. Traveling around for two weeks made us think about how our end-user would eventually use our camera messenger bags. And we needed to make some small changes. We added two pen holders and two small concealed pockets to the front of the main insert because we had found that we were forever fiddling with our bag to find pens and we felt we needed a small pocket to keep our memory cards safe if we didn’t want to keep them in the rear sleeve. Other than that, the bag held up beautifully. Even in a torrential rain storm in Croatia and through snow and ice in Vienna. The purpose of the trip was not to explore and enjoy ourselves. Although we did do some of that, especially in Dubrovnik, where it was 28 degrees centigrade most days. In England the average temperature in October is a nippy 12 degrees centigrade. We did a lot of walking. Having a comfortable shoulder strap is essential for a large camera messenger bag. If the bag isn’t comfortable, nobody will use it. It doesn’t matter how handsome the bag is. We had our sample Sloane Street camera bag laden down with a Nikon D750, Nikon 24mm f2.8, Nikon 35mm f2.0 and 15″ Apple MacBook Pro (solid state hard drive). There was never a moment when we felt the bag was too heavy, or hurt our shoulders, or back. Being able to put the bag down on any surface and know that the thick bolt shaped feet would take the brunt of any wear on the bottom of the bag was fantastic. But the single best thing we learned while traveling through Europe with our new camera messenger bag, was that our rear sleeve was something we now couldn’t live without. As soon as we started using it while going through customs and easily being able to access our passports, we knew this was a feature that everyone would appreciate. Believe it or not, the sample we had painstakingly made came back looking even better than when we left. The leather had softened a bit, the canvas had relaxed and it was a better bag after our trip than before. That was when we knew we had the perfect camera messenger bag! 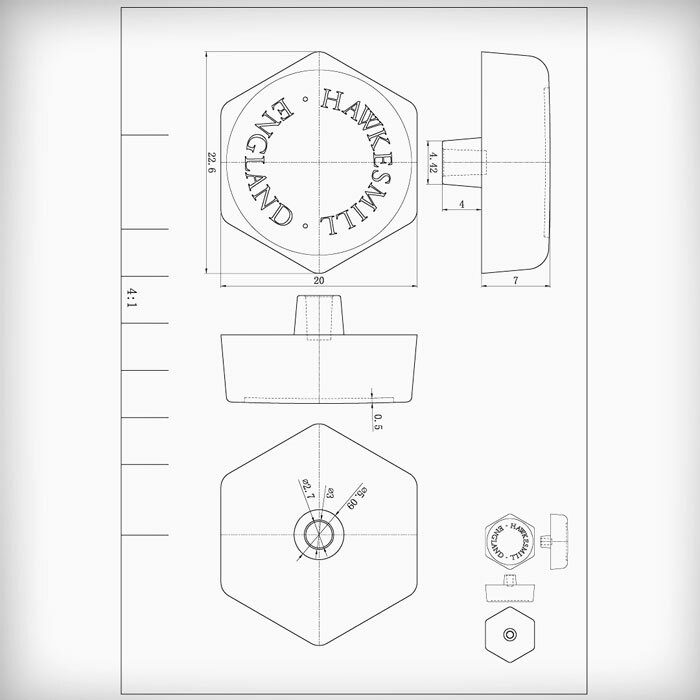 Almost four years after having the initial idea for Hawkesmill, production finally began. 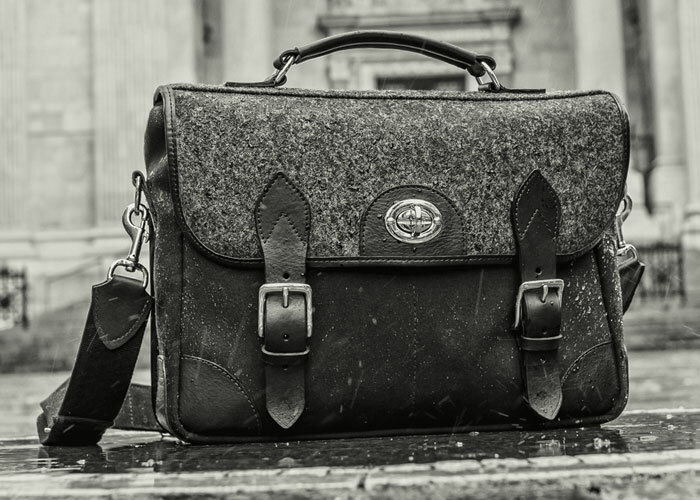 Shortly after our launch in April 2016 The Phoblographer reviewed our Sloane Street bag and said it was possibly the best camera messenger bag made. FStoppers gave us a similar review, as did SLR Lounge, and a host of other reviewers. We set out to create a product that was truly unique. It was one that didn’t fit within the narrow confines of traditional camera bag users. We found that we were up against enormous odds and, truth be told, we still are. However, we continue to be true to our ethos. 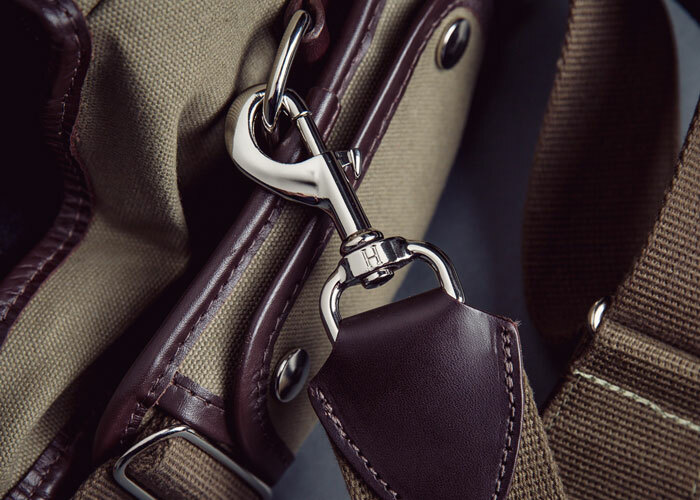 We are crafting the finest camera bags and leather camera straps available, using old world techniques passed down for generations. Our products are handmade in a country that we love and they always will be. It’s not always easy to follow your dream. But we did. And we hope you will too! If we can help or offer advice in any way please feel free to leave us a comment below or get hold of us through our Contact page. This entry was posted in Camera Bags, Design and tagged Camera Messenger Bag, Stylish, Travel, Waterproof. The bag makes the man. Like outerwear, a bag is something that you’ll wear around pretty much every day, and it’ll quickly become a unique and distinctive part of your personal style.